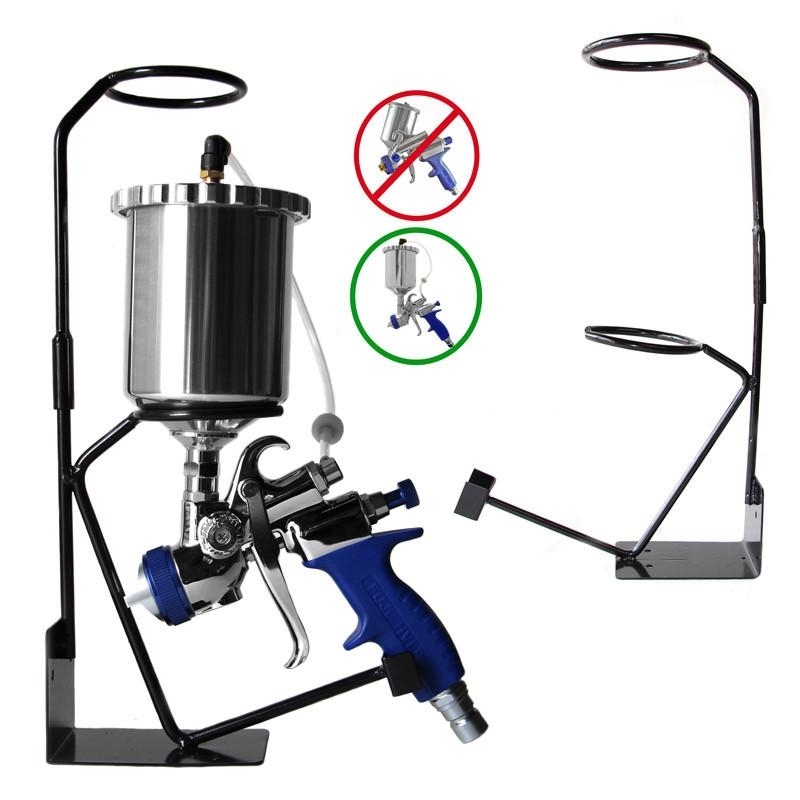 This 2 piece Gravity Feed Gun Holder allows the user to fill the gravity feed Spray Gun without assistance. Rest your Fuji Gravity Spray Gun while you are refilling the cup or in-between coats. Will also fit other standard size centered mounted gravity Spray Guns. SPRAY GUN NOT INCLUDED. Please note that this is not compatible with the 9600-G and the 7002G Spraygun. It is also not compatible with any GXPC side-mounted Spray Gun.